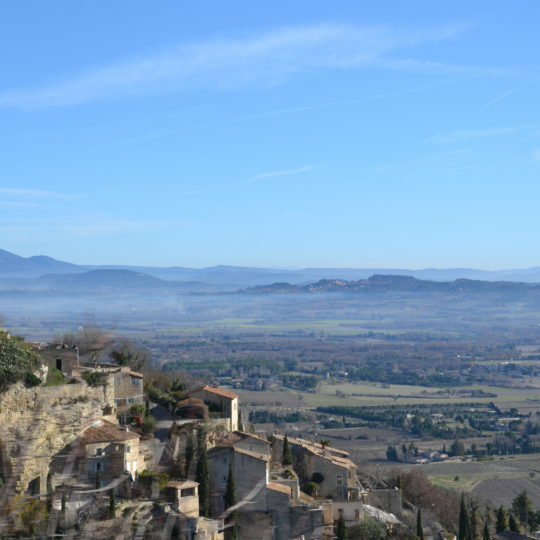 Gordes is generally considered as the center masterpiece of Luberon and Provence. 100% of the tourist bus loads are going to give the priority to the stunning views over the valley and the village set-up. I designed this article to help you to take the best without getting exhausted and troubled by packs of excited visitors running to take the best picts ans selfies to send it immediately to Asia. The first things are the exceptional views and then the pristine setting of the village itself with the too clean white stone buildings. Actually, it must be seen but the overall impression is you are walking in the alleys of Disneyland. You see only tourists, there are no more local people ( or very few) because they all sold their houses to wealthy and chic lawyers or architects from Paris, Switzerland or Germany. 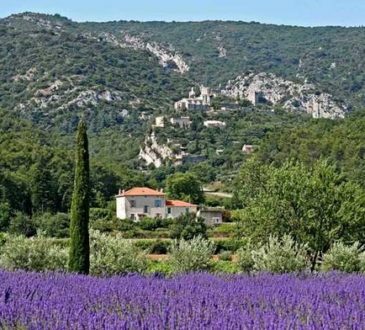 And these ones you are not going to see them : Either they own several vacation here, on Côte d’Azur or Courchevel or they are just there hidden in the woods around away from the nose and with superb views on the Luberon Mountain. So the first recommendation ( 1) is not to invest too much time there. It is pretty small with just a few narrow streets. The fierce castle ( “château”) is an impressive construction dating back to the 16the century ( Renaissance). The best is from outside. Inside it is also part of our history with for instance a spectacular room for ceremonies which look like a “Chambord” artifact ( Loire Valley Castles). One point to know is that this castle has never been inhabited in its history ! No toilets or running ware ! it was just to display the might of the landlords. In the castle you will see the Tourist Office where you can catch up on your knowledge about the area. You would wander around (2) in the main little streets of Gordes. And you would go a bit down in the small “calades ” ( named after the stone pavement) where you will find unique and quieter spots which are really worthwhile for intimate moments and unique pictures. There are other places like Goult or L’isle-sur-la-Sorgue where you can meet real locals in their days. Let’say it is worth two hours to start but, if you are a guest at Mas des Etoiles, you will have different opportunities to come back and just enjoy on specific things. One obvious starting point (3) is to find a good park area. The city tries to push you as far as possible and there might be a long ( strenuous under the sun heat) walk to join the center. The only good parking is on the road to Murs just in front of the hospital. It is large, nice and there i always somebody going anytime. Be sure to do that. Then you have to choose a proper time (4) to go. From 10 30 AM to 12 30 is the worst period in the peak season. So the best would be earlier or after 5 00 PM when the shades improve the temperature and the buses are gone back home. After that, if you can, you should not miss the Tuesday morning Market. 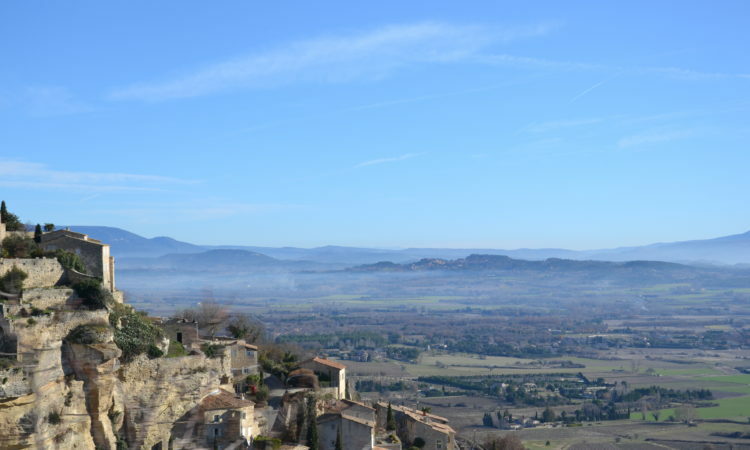 When you are at Mas des Etoiles, we generally recommend three markets : Gordes on Tuesdays, Lourmarin on Fridays and L’Isle sur la Sorgue on Sundays. They all are different flavors and are a “Must-See”. and you will see a mixture of tourists and … local shopkeepers. 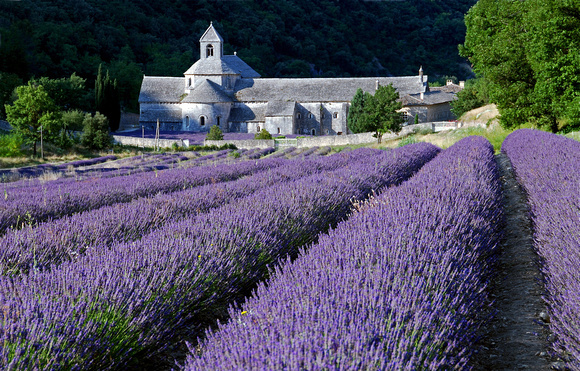 What they sell is a sampling of typical Provence usual products. 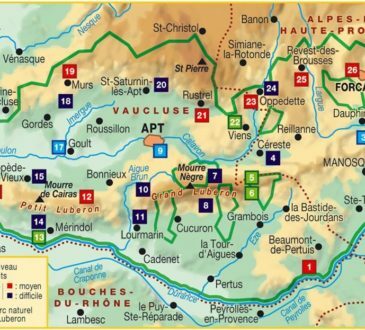 You can visit it briefly ( One hour) and then quickly move to a different spot like Senanque, Joucas or Roussillon. For lunch, we don’t recommend too much. If you are hungry and don’t want to go else where, the one for lunch is Casa Rosario on the side of the main square. You have there the best pizzas in Provence. They have a nice shaded terrace. It is better to book shortly in advance if you want to be well seated. Lunch times are between 12 15 and 1/30 ( always better to be early). Another recommendation is “Loup Blanc” . “Loup” is the name of the sea bass in the Mediterranean). It always carries fresh fish at reasonable prices. You will love it. Restaurant l’Artegal ( just in front of the “Château”) is good too. For the other the quality is going to be unpredictable with many factors. ( See Tripadvisor). You have two places which are secrets for Aperitif, before dinner. The first and cheapest is ” Cercle Republicain”. It is the oldest Café in Gordes. There you can see the last true local people in the midst of their traditions. The place to be is the terrace with the view. Does not seat many, so go early). 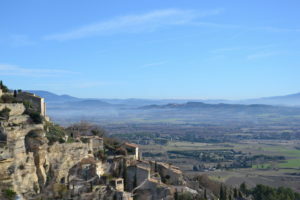 The other one is ” Bastide de Gordes”. 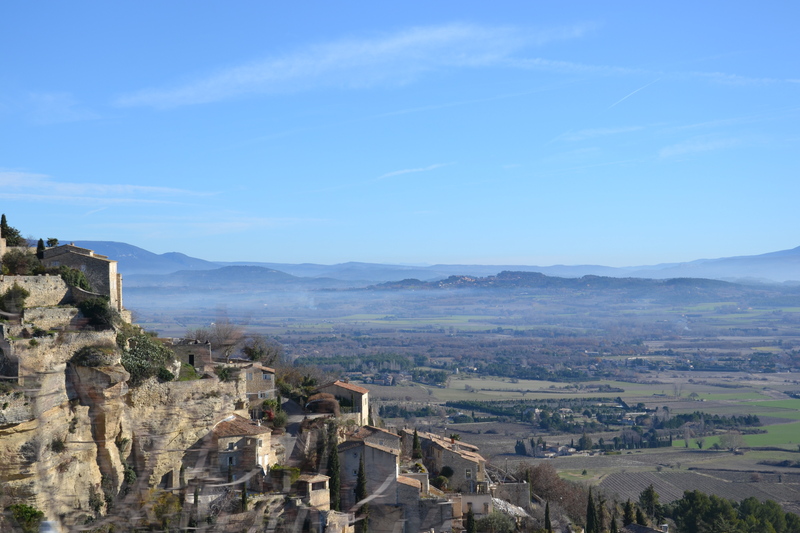 You can have an aperitif in the most exclusive place in Luberon, The Hotel ” Bastide de Gordes” is now a “Palace”, the views and the hotel set-ups are incredible. By the way, they are not going to let you in with short pants. You must be very formally dressed, especially women, but the show is stunning. Of course, you can have dinner there too. It is ( a bit ) pricey. You have to book several weeks in advance. Get lost with you car. Take any of the small streets around and enjoy unexpected landscapes. Village des Bories : This is not a too good idea. You can see Bories everywhere for free. ( Bories are small stone houses. Nobody know whether it was for elegantly piling-up the stones or for housing). In fact in the past the soil was only stones everywhere. Farmers used to dig in order to implement olive trees.